Sephora has new samples offer! 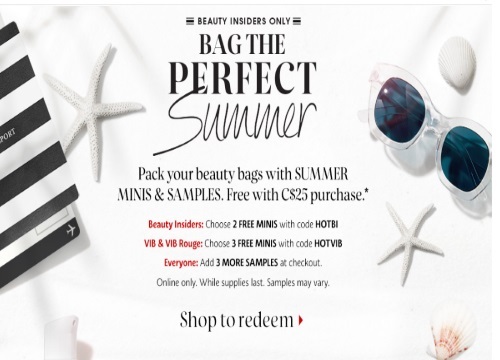 Pack your Beauty Bag with Summer minis and samples Free with any $25 purchase online! Everyone: Add 3 More Samples at checkout (Everyone gets 3 additional samples at checkout that you can add apart from this promotion). Offer is valid online only, while supplies last. Samples may vary.